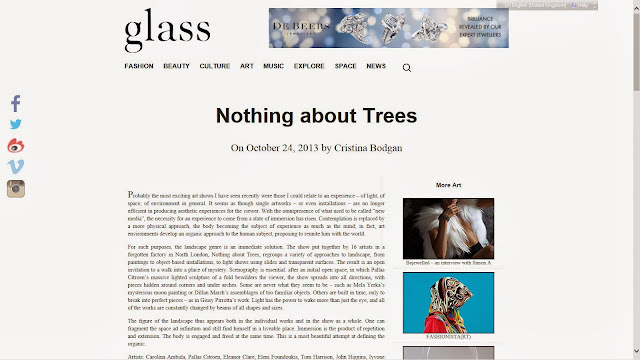 Nothing About Trees Group Show, London, October 2013 from Kam Wan on Vimeo. 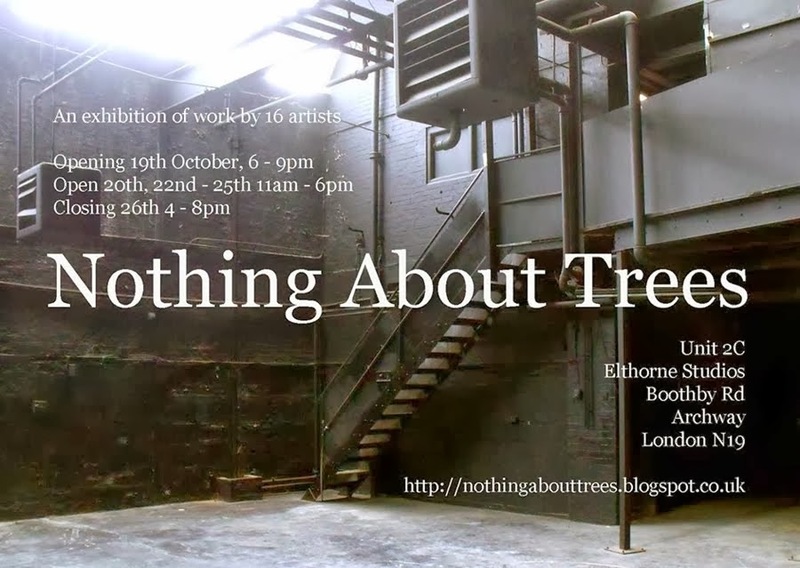 Nothing About Trees is a group show featuring the work of 16 artists, opening Saturday October 19th 2013, 6-9pm, at Unit 2C, Elthorne Studios, Boothby Road, Archway, London N19. It will be open 20th, 22nd-25th October 11am-6pm, with a closing afternoon on the 26th 4-8pm. Artists (click on names for weblinks): Carolina Ambida, Pallas Citroen, Eleanor Clare & Kam Wan & Marcus Davidson, Eleni Foundoukis, Tom Harrison, John Higgins, Dillan Marsh, Tom Mason, Bjørn Mortensen, Olivia Notaro, Elsa Philipe, Justin Piperger, Giusy Pirrotta, Chloe Sells, Ben Turner, Mela Yerka. Tillman: “We have all sorts of feelings about trees that have nothing to do with trees"
London was always a magical place of secrets, of dark alleys, of hidden entrances, an inspirational place of exotic and elusive shadows. But the secret places and spaces that gave London its intoxicating, clandestine charm are being lost, so where now can we find the spaces in which we dream, create, exist? 15 artists have taken temporary possession of a forgotten former munitions factory in North London. In this black and theatrical realm a chemistry occurs; a juxtaposition of art and interior. Darkly imposing, the building itself is the dramatic backdrop in which the work appears and is observed. The synthesis provokes allegory and allusion - an evocation of theatre and cinema as much as an exhibition. To move through this melodrama is to go on a metaphorical journey. This is a world of smudged boundaries…...a forgotten piece of the city opened up, energised, but ephemeral and transitory, a secret place. We are grateful to Bergen Kommune for supporting the international scope of this exhibition.